Research carried out by the University of Kent sheds light on the infanticidal behaviour of chimpanzees (Pan troglodytes) and demonstrates that females are highly sensitive to the relative risks posed to their babies by different males. 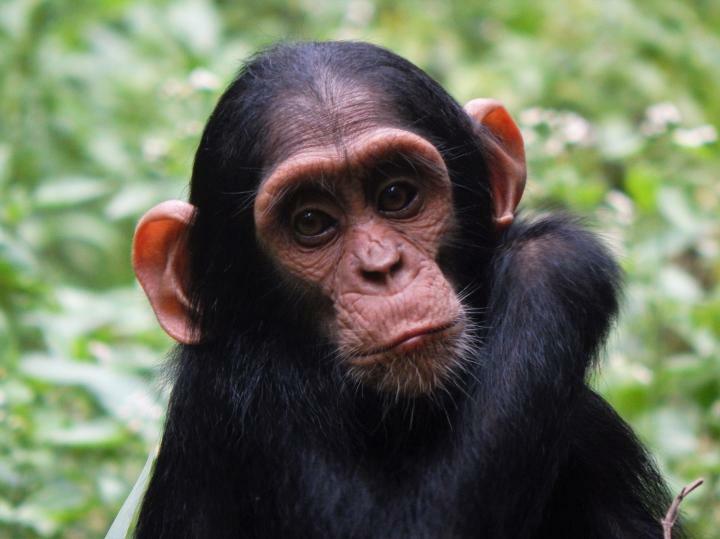 Researchers from the Living Primates Research Group in its School of Anthropology and Conservation (SAC), and the School of Psychology and Neuroscience at the University of St Andrews, examined the behaviour of female chimpanzees in the Budongo Forest, Uganda, where chimpanzees (at least in the study community) are particularly prone to committing and suffering infanticide. The study by Adriana Lowe and Dr Newton-Fisher (SAC) and Dr Catherine Hobaiter (St Andrews) was carried out during a period in which a mid-ranking male rose rapidly in rank. Males can benefit from infanticide when they can kill an unrelated infant and replace it with one they have fathered. Because rank is linked to mating access in chimpanzees, a male who rises quickly in rank is surrounded by babies he is unlikely to have fathered, compared to any babies conceived after his rise. This means a male who rises in rank is suddenly a threat to mothers and their babies. Mothers, specifically those with younger, more vulnerable infants, reduced their association with the rank?rising male during the period of instability. The research team also found evidence that females preferred to associate with a male of stable high rank on the basis that such males could offer protection against infanticide. The research builds on pioneering observations of infanticide in this community by Dr Nicholas Newton-Fisher more than 20 years ago (Infant killers of Budongo, 1999)The paper, titled, Countering infanticide: Chimpanzee mothers are sensitive to the relative risks posed by males on differing rank trajectories has been published in the American Journal of Physical Anthropology.